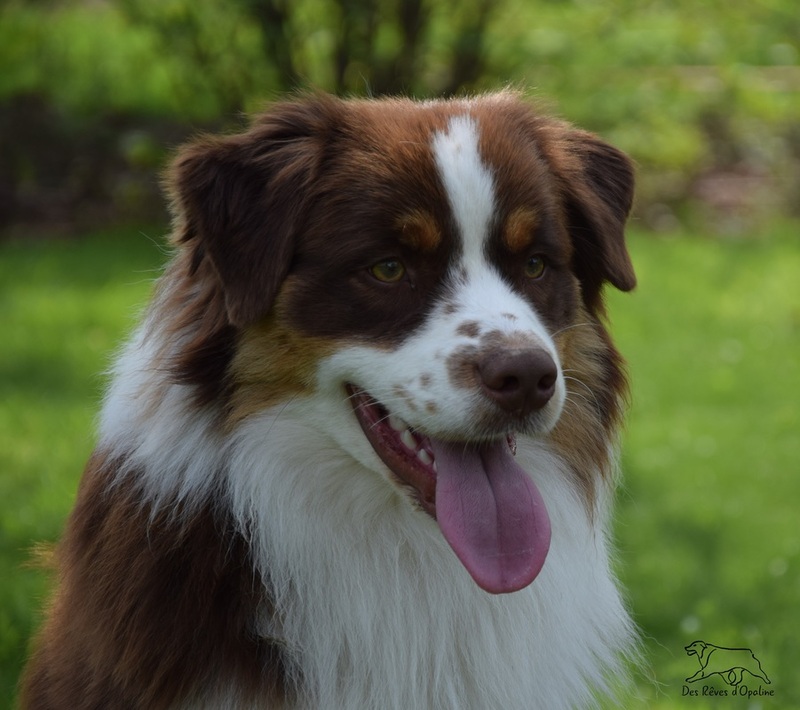 to our family-sized Australian Shepherd breeding kennel ! 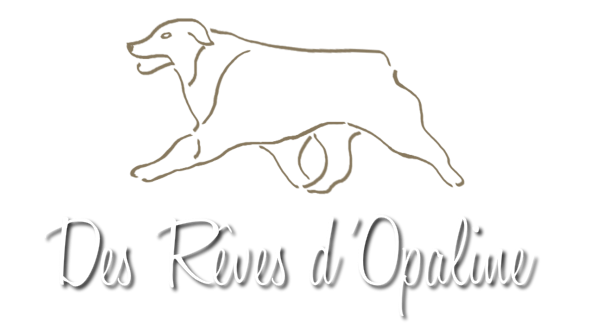 We are Aussies lovers, who live in France, in the countryside, some 50 kilometres (about 30 miles) away from Paris. We have the great pleasure to live our everyday lives with our dogs which are first and foremost our family dogs and daily companions. We have few dogs so that we can spend as much time as possible with them and give them the activities they need. And we produce few litters, respecting the breed and therefore being very cautions when it comes to selections. Health is essential ! So we carefully study pedigrees, we avoid inbreeding and we sometimes go abroad to find stud dogs and new bloodlines. We do all we can to avoid diseases like epilepsy, for example. And we get all the help we can in that matter. All our dogs and those used are thoroughly tested and healthy. We have official hips and elbows X-rays taken and they do not suffer from dysplasia. Our dogs are checked by a veterinary ophthalmologist before every mating. They are all genetically tested for CEA, PRAprcd, HSF4, MDR1, etc. They also have complete sets of teeth. All puppies leave our home properly vaccinated, microchipped and wormed. We do our best to keep and to pass on the wonderful character of Aussies: courageous, determined, loyal and closely attached to their families. Our puppies are socialized at a very early age. They are handled and they live their first weeks at home with us, getting used to all the surrounding noises (TV, vacuum cleaner…). Then they move to a small “dog chalet” in the garden with an adjoining pen where we initiate them into all kinds of activities, games, situations…They get to play with our grandchildren and they have a lot of visitors, which allows them to be at ease with everybody. We also have them ride in our car, we take them into town, and they get to meet other animals (cats, horses, hens…)... We introduce them to walking on a leash. We also housebreak them, and if you take the habit to take them outside very regularly from the beginning, they will remain house-trained. We select each mating according to the breed’s standards in order to respect it. For our ladies we choose beautiful studs that often are multi champions and can thus pass on their great qualities. Do not be surprised however to see that all our dogs are not champions. 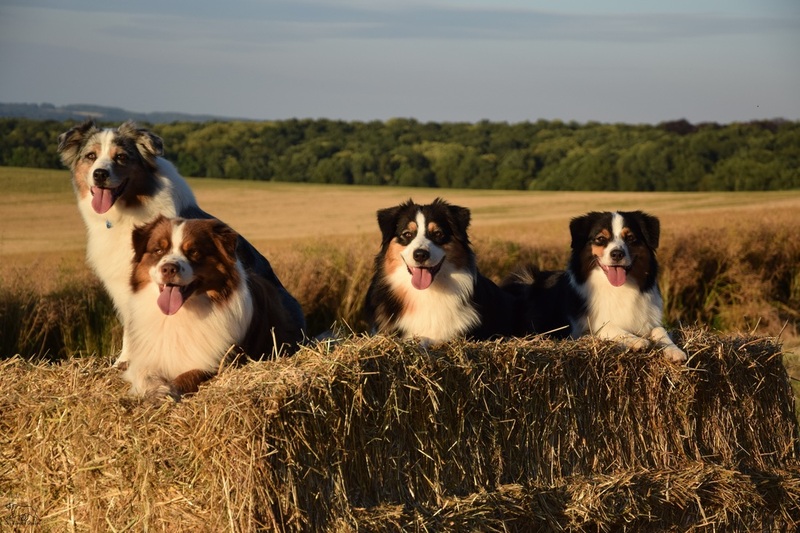 Indeed, it is difficult in France to have the title of champion: There are maximum 2 national champions per year and per gender, whereas some 9,000 Australian Shepherds are born in France every year ! So it is necessary to go abroad to compete for some titles. Sometimes we do, but it is not our priority, as we would rather spend our time and money on our dogs. 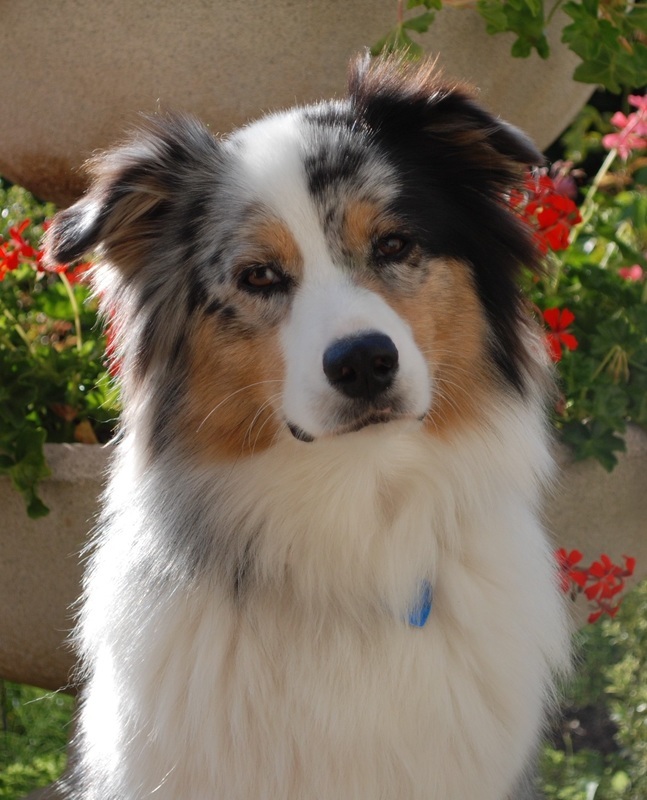 Australian Shepherds are primarily working dogs and to be happy they need to work, either physically or intellectually. Our dogs regularly go to a training club where they can practice various activities, including agility, obedience, tracking and human searching. They also are introduced to cattle herding.